These courses are designed to help project managers get skills they can use tomorrow, that will last you a lifetime. You want to get into project management, but it just hasn't happened... yet. Click here if this sounds like you. You need to take on a project that puts you well outside your comfort zone. Poor project management compromises the service your team is delivering. You know you want to be a project manager. And you know you have the potential to be a good one... maybe a great project manager. But nobody else believes you. So, every day, opportunities seem to pass you by, while your colleagues get their chances. It feels like you are treading water at best... and even getting swept backwards, maybe. I have had over 12 years as a successful project manager in business, and then another twelve years as a full time project management trainer, writer, and coach. I have found the best ways to teach project management. I have created a logical, easy to follow, step-by-step course. This course will give you the practical skills you need to start managing a project tomorrow. So now, you will be able to demonstrate that you are ready to get started. You will have the knowldege you need to show you are ready for those opportunities, and you'll be able to start to become the project manager you know you can be. Below this, you can see the details of my Project Manager's Immersion Program. This is our most comprehensive course, available now, to give you what you need when you need it, and to give you a solid launch for your Project Management career. "The unique thing about the training from OnlinePMCourses is that you can interact with your trainer. This isn’t a study-in-isolation type programme, although of course you can do that if it suits your learning style. Mike is committed to giving you the support you need to make the course a success, so he has included a comments section in every module of the course. Ask your question and he’ll get back to you. The videos are very short and the content is structured in a logical way that enables you to dip into whatever you need advice on at the time (that goes for all the courses that have video). I like how the content builds, and there are decent upgrade paths too, so if you want to take a more in depth course you aren’t financially worse off than if you had just chosen that one first." You've been given responsibility for a project that will stretch you well beyond your experience and your comfort zone. And you also know that you will be judged on your performance on this project. Fouling up is not an option you relish. This course will give you the practical skills you need to start managing a substantial project tomorrow. So now, you will be able to start your project confidently, know how to set it up robustly, and move from stage to stage. You will feel in control of your project, and confident of delivering the successful results that everyone expects of you. Below this, you can see the details of my Project Manager's Immersion Program. This is our most comprehensive program, that will give you the confidence to get started, and know that you'll have the information to anticipate what's coming next and handle it effectively, throughout your project. "Mike covers all the key topics a project manager needs to know in his Skills Mastery Program and it's clear throughout the course that Mike not only understands the theory, but also what works practically and offers tips, tricks and pitfalls to watch, that only an experienced practitioner knows. I would recommend this course to anyone looking to grasp the key concepts of good project management." Your company's projects are running behind schedule. Things are getting missed, your customers are getting annoyed, and your managers are overspending your budget. Each time a project manager over-runs and disappoints one of your customers, you need to spend yet more to put things right. But, more important, it is damaging your reputation. This course will give you all the practical skills you or your people need to start managing a project tomorrow. So now, you will be able to give each of your project managers the comprehensive Project Management training they need, at times that work for your business. You can select the right level of course for each one, and upgrade the courses when you choose to. you can keep a clear track of your spending, and you will get the training your business needs. Below this, you can see the details of my Project Manager's Immersion Program. This is our most comprehensive course, available when your people need it, with over 50 customisable templates built in. And, if you need to train three or more people, contact me for details of bulk licence discounts, and even customisation. "This goes all the way through from being given a project to project closure. What’s more you will be able to do it with your own projects which is the key to the way Mike Clayton has put it together. So, I say: 'Invest, invest invest!' You get nothing by not investing in yourself and the return on investment will be multiplied many times over." Downloadable workbook, templates and bonus articles. Over 100 bite-size videos to watch anywhere, anytime. Average video length 6-10 minutes. I have invested thousands of hours of learning, using and testing these ideas. I have delivered thousands of hours of project management training. Everything I have learned has contributed to this training. Live training costs from $250 - $750 per day. This program is the equivalent of four days of classroom training. ... and what is the true cost of discovering all of this material by piecing together YouTube videos, blog posts and articles online, with conflicting terminology, different systems, and variable reliability? 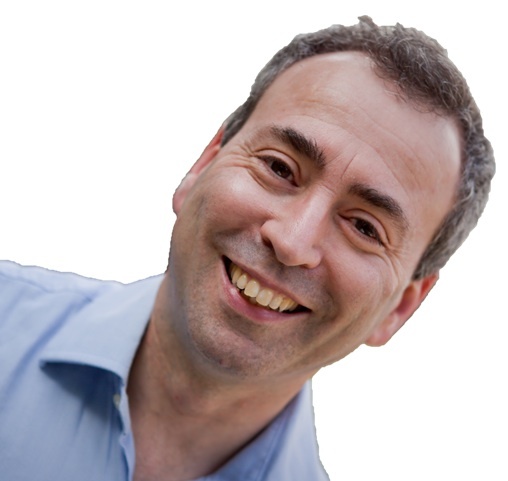 ... is one of the most successful and in-demand project management trainers in the UK, and has been for over 12 years. He is a prolific blogger, contributor to ProjectManager.com and Project (the journal of the Association for Project Management - APM), and author of 13 best-selling books, including four about project management. Between 1990 and 2002, Mike was an successful project manager, leading large project teams and delivering complex projects for clients, as a consulting Senior Manager with the London office of Deloitte. In 2016, Mike launched OnlinePMCourses for people who want to build your project career. You'll find a wide range of courses and other resources to help you become a better project manager. The programs will give you clear, practical knowledge, made easy to understand and apply. But OnlinePMCourses won't just be a set of training videos. The programs will help you to transform yourself into the project manager you want to be. In time, Mike hopes to build you the most comprehensive portfolio of project management self-development resources on the web. Project Manager's Skills Mastery Program? Are you serious about succeeding in your first significant project? Are you interested in making your next project a secure base for more project work, and maybe a project management career? If the answer is yes to both of these questions, you would be wise to consider this course: the Project Manager's Immersion Program. It has over 120 videos: 12 hours of material. If the answer is yes to the first question, but not to the second, then the shorter Project Manager's Skills Mastery Program may well be the one for you. It has over 50 videos: over 5.5 hours of material. Why not compare the curriculum listings? To open a second window or tab in your browser, click here to see the Project Manager's Skills Mastery Program. If you buy and enjoy any of our courses and want to extend your learning to a higher-tier course, you will always be able to upgrade to the next tier with the price you paid discounted from the current best cost of the new course. Please note, however, that we may not be able to repeat any discounts that are currently available. 25 years of experience! Seriously, you get the equivalent content of my live 2-day workshop, including videos, audio, workbooks and downloadable templates and articles. And you'll have lifetime access to all of this, on any internet-connected device. Your payment will go through industry leading video training platform Teachable. And you'll get Teachable's 30-day money-back guarantee. Your downloads will all be in standard formats; a mixture of PDF, XLS, DOCX, and MP3 formats. We are working on it now. We plan to launch this program mid July 2016. But as a project manager you'll know we are sometimes faced with choices of meeting schedule or getting the quality right. We'd rather launch late, and get it right. That's fine. Just email me, Mike Clayton, at Mike(a)OnlinePMCourses.com. That's what OnlinePMCourses is here for. We'll be developing more training, including long and short video programs to meet every learning need for someone like you, who plans to build a successful project management career. Priced in UK Pounds Sterling. If you are buying from the UK or European Union, you will be charged VAT. If you are VAT registered, you'll be able enter you VAT ID to remove the VAT.